This ever-changing life : What drugs took from me..
What drugs took from me..
February 7th, of 2010, was the day that my life would change forever. It's the day that would require many days, months, and years of healing. It is the day that my little brother, and I lost our father to addiction. This day came as a shock to those who never truly knew him, but to me it was just the day that I have always feared, come true. My Dad was sick most of my life... He struggled with addiction since I was 2 years old, and would continue to struggle up until my 17th Birthday. My father was the exact opposite of me.. He was outgoing, very social, the life of the party. He had an alluring smile, and sublime energy. He would do anything to make someone smile, he was a gentleman, he had an enormous heart, he was sensitive, and passionate in everything that he did. My father was much more than his addiction. Unfortunately, as a teenager I was oblivious to the fact that my Dad was much more than just some drug. I was hurt, & frustrated with him up until his death. My Dad would do anything for drugs, even if that meant stealing from people he loved, returning our Christmas presents, and lying to everyone around him. I say this, not to make my Father look like a bad person but to show how bad Drugs really do take control of someone. They transform even the best of people, into polar opposite versions of themselves. It wasn't until after my Fathers death, that I learned forgiveness, and educated myself on addiction. Before his death, I always looked at addicts as worthless. I thought that my Dad chose this lifestyle, and wanted it more than he wanted a relationship with his children. I remember being in Elementary School, and everyone was sharing what their Fathers did for a living. When it was my turn to talk about my Dad, I just froze. I ended up making up stories. I created the ideal version of a Father. 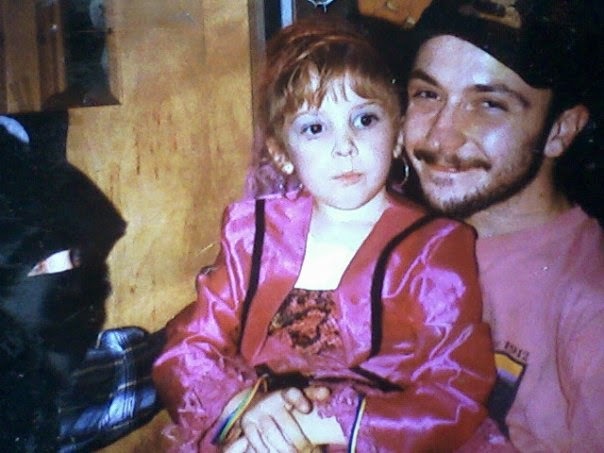 The Father I could have had, if it weren't for drugs. I continued to share those made up stories of him, throughout my childhood. Though, Drugs did take the ideal version of a Father away from me, that's not to say I did not have a Dad that didn't try. He tried very hard to be there for us. He was the first person to take me Sleigh Riding, he took us fishing & brought bread along to feed the birds. When I was 15 he took me driving for the first time, even though I failed miserably. I remember being so nervous behind the wheel, but he was so calm, and poise. He never pointed out my mistakes, but rather pointed out my accomplishments. My Dad rarely missed weekend visitations with us, and always tried to plan something fun even if Drugs almost always interrupted those plans. He tried. One of my fondest memories of my Father is him taking me to the top of the hill near my Grandparents house. On top of that hill, it is like you could see the world. It was the most beautiful place I've ever been, at night the city shined so bright, and as you looked at it there was not a care in the world, there was only that moment, and that moment was splendid. Another fond moment I have, is going to the lake in the summertime. Probably the only trip we ever really took as a family when my Mom, and Dad were together. Swimming, watching fireworks, eating good food, and falling asleep during the car ride home. Those are the moments I will cherish the most. When I was 15 years old, I experienced the worst day of my life.. That day was losing my Grandfather. The person that was honestly more like a father to me. My Dad knew this, and accepted this. Though I'm sure there was some envy. My Dad respected him, and our relationship. My Grandpa was a smoker since before I was born, and I had watched him slowly kill himself. It was early morning, about 5 am..and I have not yet slept when we received the call that he had took a turn for the worst. That was just the beginning of a very long, emotional day. I remember, it was about a half hour after my Grandpa passed when my Dad came running into the room in tears. He grabbed me, and held me... telling me that he had hoped to make it out of work before he passed, to say goodbye. He told me he knew how much he meant to me, and that because I hurt...he hurt. We sobbed together for a good 15 minutes. Who would've known that just 2 years later, he would be the next person I lost. Drugs didn't just take away from me, but I watched as drugs took away the love of my Mom's life. Her High school sweetheart, father of her children. 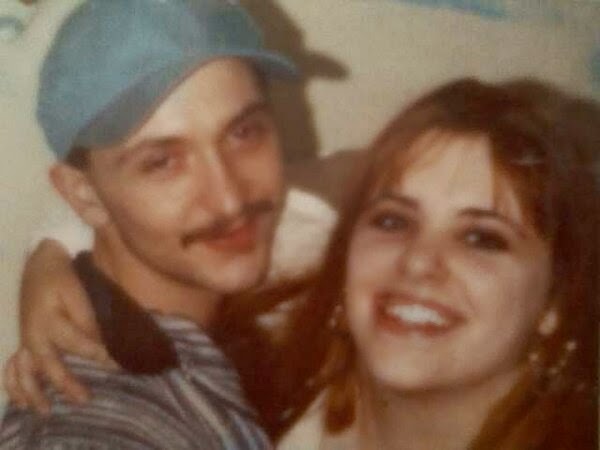 My parents relationship was never perfect, but they loved each other. They were off and on for years because despite the drug addiction that my mom hated, she loved the addict. She loved my Father, and he loved her. If my Dad would've had his way, they would have been together up until his last days here. However, my Mom wanted more.. not just for her, but for us. Shortly after my little brother was born, she moved us out of the house we shared with him, and into my Great Grandmothers house so we didn't have to be around the drugs all the time. Though my Mom took us away from that environment, she did not want to take us away from him permanently. I feel like if my Mom didn't let us see him, we may have lost him sooner. We really were the light of his life.. his greatest accomplishments. Almost every-time I visited him he would tell me how I was his princess, and I must have gotten my beauty from my Mother. Every time I fought with my Mom, he would be there to tell me that I had to respect her, because she has given up so much for us. Even if they were no longer together, they were always friends. My mother lost one of her best friends the morning of February 7th, 2010. Drugs didn't just take away a Father.. drugs took away a Friend, a Brother, a Son, an Uncle, a Cousin, and ultimately a great person. Drugs took away the person who would've walked me down the isle at my wedding, a Grandfather to my children, and to my brothers future children. The hard truth is that drugs don't care what they take away. Drugs don't care about the person, or the family.. drugs will take you no matter what the circumstances. No matter how valuable the person. If you love someone who has an addiction, show patience, and kindness. Get them help if possible, but most importantly educate yourself. No one wakes up one day wanting to be an addict, no one grows up with those being their dreams. Dreams are taken by drugs. Addiction is an illness, and the addict needs help, not criticism. Not hatred. Show love, and support and maybe you can help save a life. So, this is where I leave you Daddy. Only hoping, that somehow you can read this wherever you are. Somehow you can be able to forgive me for not understanding your addiction at the time, but I can promise you that I will take what I have learned, and use it to help others. I love you, and always have. 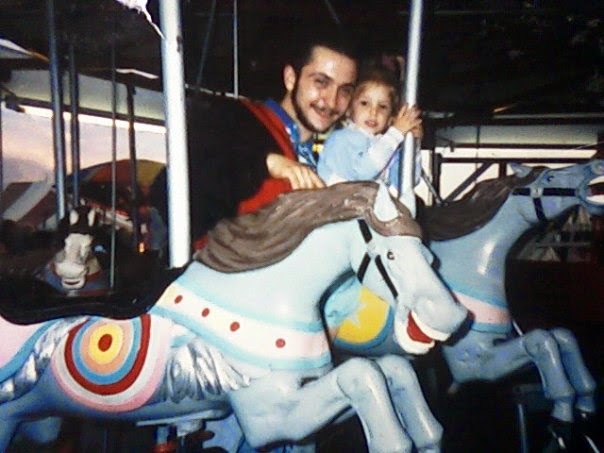 You will always by my Daddy, and I will always be your princess. Thank you so much for sharing your story! I truly believe that this helps to encourage others who also love an addict. I find it to be so scary and lonely and when we share, it opens up the world a bit and let's others know that they are not alone also. My heart aches for you and while I would change the loss of your Dad and Grandpa if I could, I know, without a shadow of a doubt, that they are looking down on you and so proud of you and the strong, wonderful, compassionate woman that you are today! Thank you Michelle! I would love if this will help others, in any way. Sadly, my Dad wasn't the only addict in my life. I'm prepared now though at least. I am educated, & know that anger isn't the solution. Support, & love is.. I very emotional and deep post about addiction. Thanks for sharing this. I found your blog on Goodreads share your blog section. If it's not much trouble, here is mine: http://sudochmod700.blogspot.ca/. Feel free to comment and follow. I fixed it now. It was offline for a few days. Thanks for following me! This is such an honest and beautiful piece. so sorry for your loss but very proud that you had the courage to share your story. I saw your blog on goodreads. Here is a link to mine if you feel like taking a look. Sheesh, a couple of those lines really got to me. Especially the second to last paragraph, where you talk about what the drugs took away. While it was not from an addiction to drugs, I lost my own father in January essentially from a lifelong addiction to food. Similar to drugs, he always wanted to get away from his bad habits, but never could. This led to depression, and just so many other things that.. could have been prevented with a little more help from us and a little more self-respect for himself. I'm genuinely sorry for what you've had to go through - and for what your dad had to go through. Neither of them have to worry about all those issues now, at least.